Details of the Planning Awards, including short-listed entries and winners. 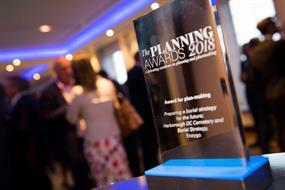 The Planning Awards celebrate outstanding achievement in planning work by local authorities, consultants, developers, lawyers, voluntary and neighbourhood groups and all the other key players in the planning system. They incorporate the Placemaking Awards, which also also reward excellence in planning-related activities such as placemaking, urban design, economic development, housing, regeneration, legal advice and environmental consulting. For more details, click here. 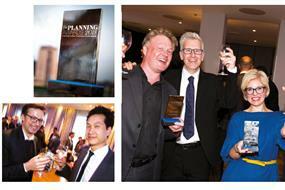 Winning a Planning Award can enhance your team's reputation and provide a morale boost to staff, previous winners say.